Sassy-mouthed Stevie Devore has always had a crush on the local fire chief. 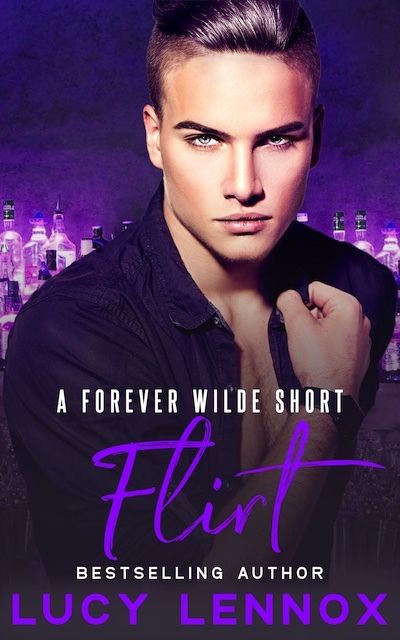 Gorgeous silver fox, Evan Paige, is way out of Stevie’s league, however, not to mention the chief has always been a ladies’ man, but when Stevie turns twenty-one, he decides he’s tired of only daydreaming about Evan. He wants a real taste of that sugar daddy, even if it means turning the flirt factor up a notch or ten to make it happen. This 36k word novella has pee-in-your-pants humor, peel-the-paint-off-the-walls steam, and a smidgie-poo of hand-on-chest swooning.